There’s more than one way to harness the wisdom of the crowd. In honor of December’s monthly theme, we’re diving into and defining the various ways that federal agencies use public contributions to meet real needs and fulfill important objectives. Two’s company, three’s a crowd—and getting input from many is crowdsourcing. Government agencies are engaging a diverse and broad spectrum of people whose skills, talents, and knowledge are key to solving problems and driving innovation at every level of program need. Notice a change in landscape after a disaster? The U.S. Geological Survey (USGS) is collecting data to understand the broader impact of natural disasters, and citizens around the country are sharing what they know online through iCoast. Can you fix a technical bug with your programming skills? 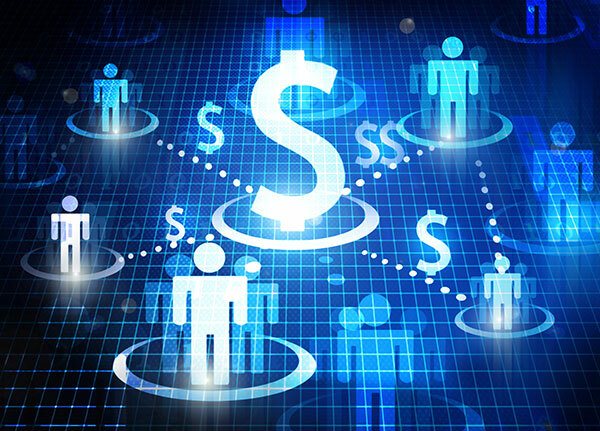 The Department of Health and Human Services’s (HHS) Centers for Medicare and Medicaid Services ran 100 technical challenge competitions to build a large-scale fraud detection platform. People could contribute micro- and macro-level programming skills. Have ideas about solar power? The Department of Energy launched an ideation program, SunShot Catalyst, to gather ideas from around the world about how to make solar energy cost-competitive. These are just three examples out of hundreds of crowdsourcing initiatives in government that bridge collaboration and community among the federal government and the public. Sometimes, the best ideas start at home. Within government agencies, there are departments that crowdsource ideas and solutions from employees. Internal ideation projects harness the knowledge and skills of the people who work day-to-day in their program offices as well as those who are in the field. These programs do everything from seek improvements to the workplace to searching for niche expertise among departments. The Consumer Financial Protection Bureau (CFPB) developed an open-source technology platform that is used to manage the agency’s internal crowdsourcing efforts. The code is available on GitHub and an on-demand webinar gives an overview of CFPB’s program. Other agencies run occasional crowdsourcing efforts, like the General Services Administration’s Great Ideas Hunt, which solicited innovative ideas. The Ideation Community of Practice is open to federal employees (with .gov or .mil email addresses) and provides best practices, resources and tools to help employees navigate the process of asking for ideas, implementing solutions and managing awards and expectations with contributors. Citizen science is a narrower subset of crowdsourcing. The U.S. Geological Survey (USGS) works with citizen scientists to discover, collect and organize a variety of scientific data; one notable USGS citizen science project is tracking bird species. The National Oceanic and Atmospheric Administration (NOAA) has three mobile applications that are based on contributions from citizen scientists: Dolphin and Whale 911, Release Mako and CrowdMag. Take the power of crowdsourcing, add the thrill of competition, plus the possibility of a winning a unique or lucrative prize… and you’ve got open innovation! Open innovation competitions have many interchangeable names, including incentive, prize and challenge competitions. Challenge.gov defines a challenge as when a “seeker” poses a problem or question to the public and “solvers” respond and submit solutions. Agencies award prize money and non-monetary incentives for solutions that meet the established criteria and are chosen as winners. These competitions are open to anyone, regardless of credentials, experience, expertise, connections, etc. 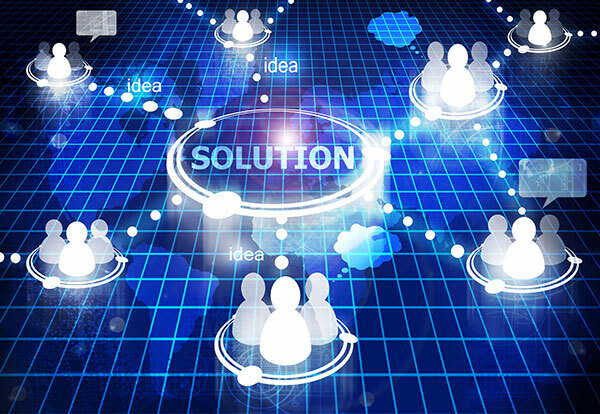 It levels the playing field and brings solutions from a diverse community of solvers. Since September 2010, federal agencies have launched more than 630 challenges and promoted the competitions on Challenge.gov. The website, which is the official hub for prize competitions across government, doubles as a no-cost technical platform used by agencies to host and manage their programs. The Challenge.gov staff also provides a suite of advisory, consultation and support tools for running successful and impactful challenge competitions. Department of Agriculture (USDA) challenged the public to create an electronic application for the National School Lunch Program. The Environmental Protection Agency (EPA) is looking for technologies to recycle nutrients from livestock manure. The Bureau of Reclamation is looking for solutions to count food for critical fish species. Read more about successful federal challenges and best practices for those interested in hosting one. This is all about the money—raising funds. In crowdfunding, a person or organization uses an online platform to explain their pitch, idea, or concept, and they may even have a product to deliver. The platform is used to raise money via donations to the person or company. Sometimes, there is an exchange of goods for a donation. There is no official program within the federal government for crowdfunding. There are some initiatives for local and municipal government projects that can be found online. While the programs featured here are big bucket items, throughout government you’ll also find crowd-focused efforts like maker faires, data jams, hack-a-thons, game jams and demo days. Consider which format would be best for your program; look through the options and consider what outcome you want and what group could be the best contributors to the project. Talk with others who have run these programs and learn from their experience. There are also training videos and webinars on-demand that include all of the topics listed above on DigitalGov University’s Challenges YouTube Playlist. Interested in getting more involved in crowdsourcing, citizen science and/or challenge and prize competitions? Join the two communities working in these areas: the Federal Crowdsourcing and Citizen Science Community of Practice and the Challenges and Prizes Community of Practice. « The Data Briefing: Does the Federal Government Have an Obligation to Educate Open Data Users?